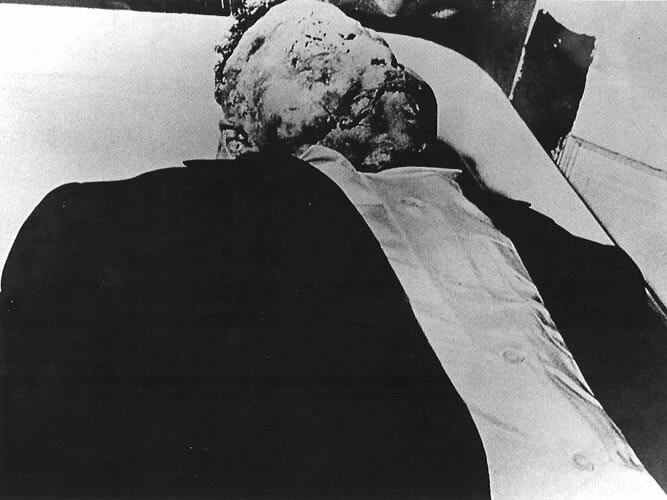 - Emmett's body was discovered on August 31, 1955, unrecognizable due to the beating. Police identified him only by his father's monogrammed ring he wore. - Emmett's mother held an open-casket funeral in Chicago. - Pictures of Emmett's brutalized corpse published in Jet magazine and the Chicago Defender made national headlines. - The horror and injustice of Emmett's atrocious murder sparked and catalyzed the growing Civil Right's Movement. - Roy Bryant and J.W. Milam's trial began on September 19, 1955. - Moses Wright identified the two men as the kidnappers in the courtroom. - The jury consisted only of white men. - The trial lasted 4 days. - Deliberation lasted less than 1 hour. - The jury announced a verdict of "not guilty" because the state failed to prove the identity of the body. - Protected by double jeopardy, Bryant and Milam recounted the kidnapping and murder to Look magazine in 1956. - Carolyn Bryant admitted to lying about what happened in the store, saying Emmett didn't touch her or harass her. 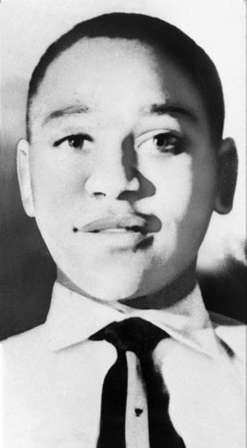 Emmett Till's murder was the catalyst that led to the nationwide resistance that became known as the Civil Rights movement. Till's death had a powerful effect on Mississippi Civil Rights activists like Medgar Evers, Malcolm X, Rev. Fred Shuttlesworth, Stokley Carmichael and more. One hundred days later Rosa Parks was arrested for refusing to give up her seat to a white passenger. The Women's Democratic Council, under Jo Ann Robinson, called for a citywide bus boycott and asked a young, 26-year-old minister to help. 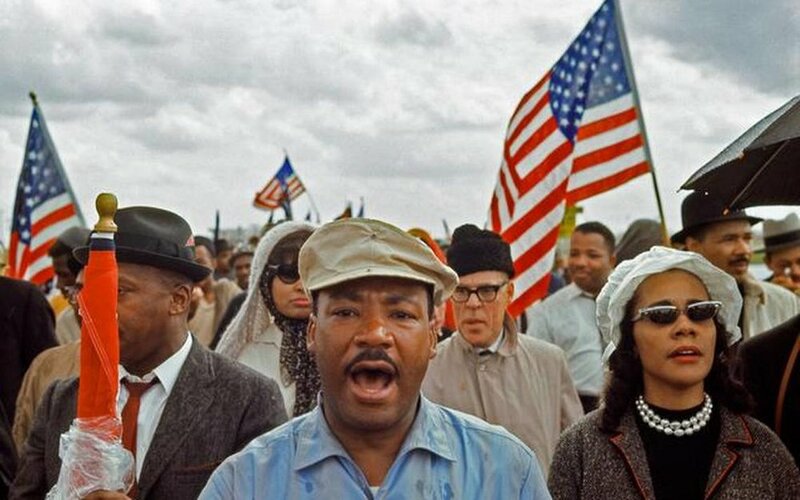 His name was Reverend Martin Luther King Jr.
"Those who do not learn history are doomed to repeat it"
In 1963, the Sixteenth Street Baptist Church was the largest black church in Birmingham, Alabama. Due to its size and central location, the church served as a meeting place for civil rights activists in the community at a time when they were engaged in efforts to register local African Americans to vote and racial tensions in Birmingham were reaching a fever pitch. On the morning of September 15, 1963, a white man was seen placing a box under the steps of the church. Shortly afterward, the box detonated and the resulting explosion rocked the building, with 400 congregants inside. Parents rushed to the Sunday School classroom to check on their children, and it was discovered that four young girls had been killed in the blast: Denise McNair (11), Addie Mae Collins (14), Carole Robertson (14), and Cynthia Wesley (14). More than 20 others were injured. Immediately after the bombing, violence surged throughout the city as police clashed with enraged members of the black community. Before the day ended, at least two other African American children were slain: 16-year-old Johnny Robinson, who was shot by police as he fled down an alley, and 13-year-old Virgil Ware, who was shot and killed by white youths while riding his bicycle. More than a decade later, in 1977, Ku Klux Klan leader Robert Chambliss was convicted of murder for participating in the bombing; he died in prison. Several more decades passed before Bobby Frank Cherry and Thomas Blanton were also convicted of murder for the bombing in the early 2000s. Both men were sentenced to life imprisonment. On June 11, 1967, Officer James Calvert shot unarmed Martin Chambers, 19, in the back, killing him and setting off three days of riots in Tampa, Florida. Police pursued Martin Chambers that day because they suspected that he and two other young men had robbed a local photo supply store. While chasing Chambers, a white officer, James Calvert, shot the teenager in the back, killing him. According to newspaper accounts, Calvert shot Chambers as a last resort when the teen would not stop running, and aimed for his shoulder but missed. Chambers died later that day, shortly after arriving at the hospital. News of the shooting spread quickly throughout Tampa's African American neighborhoods. That night, citizens began a three day riot, burning and looting businesses in the Central Avenue area. State Attorney Paul Antinori heard testimony from Calvert and three young African American men who witnessed the shooting. The young men reported that Calvert shot Chambers after he had stopped running and had his hands up against a chain link fence. Calvert testified that Chambers was still running when shot, and said he feared that if he did not shoot, Chambers would escape. Just two days after Chambers was killed, Antinori ruled the shooting was justified. In his remarks, Antinori argued that Calvert’s shot was necessary because Chambers was a felon fleeing apprehension. Without acknowledging that Chambers had not been convicted of a crime, Antinori explained that people who broke the law accepted the risk that law enforcement might have to use force to do their jobs. City officials and African American community leaders feared that the disappointing verdict would incite more violence but the riots ended. In 1990, a Florida Department of Law Enforcement review also found the shooting justified. In what is widely regarded as the last recorded lynching in the United States, black teenager Michael Donald was beaten, strangled, slashed at the throat, and hanged by two United Klans of America members in the Mobile, Alabama, area on March 20, 1981. Local police initially attributed Mr. Donald's death to drug violence but his family insisted he had not been involved in drug activity and demanded a more thorough investigation. Tests showed no trace of drugs in Mr. Donald's body. Authorities later charged Klansmen Henry Hays and James Knowles with Mr. Donald's murder and charged Benjamin Cox, Jr. as an accomplice. Evidence revealed that local Klan leaders had been monitoring the trial of Josephus Anderson, a black man charged with killing a white police officer in Birmingham, Alabama. The Anderson trial ended in mistrial when the jury was unable to reach a verdict. Angered that Mr. Anderson had not been convicted, Benny Hays, a high-ranking Klansman and Henry Hays's father, reportedly said, "If a black man can get away with killing a white man, we ought to be able to get away with killing a black man." Michael Donald was lynched the same day. All three suspects were convicted in the lynching of Michael Donald. Mr. Knowles and Cox received life sentences and were later paroled; Mr. Hays was sentenced to death and executed by the State of Alabama in 1997. In 1984, Michael's mother Beulah Donald sued the United Klans of America and ultimately won a $7 million wrongful death suit that bankrupted the white supremacist organization, although very little money was ever collected. On August 23, 1989, 16-year-old Yusef Hawkins and three friends went to the predominately white Bensonhurt section of Brooklyn, New York, to inquire about a used Pontiac for sale. On their way through the neighborhood, the three black boys encountered a group of 30 white youths gathered in the street. Armed with baseball bats and at least one handgun, the mob set upon the three boys. While his companions managed to escape the attack without serious injury, Yusef was shot twice in the chest and later pronounced dead at nearby Maimonides Medical Center. Later investigation revealed that a neighborhood girl, Gina Feliciano, had recently spurned the advances of a young white man in the neighborhood and was rumored to be dating an African American. Angry, the rejected white boy gathered friends to lay in wait for the black boyfriend they believed would be visiting Ms. Feliciano. Yusef Hawkins walked into this scene of racial tension. Hawkins’s death was the third murder of a black male by a white mob in the 1980s in New York, where racial tensions were high. Shortly after the slaying, the Reverend Al Sharpton led a protest march through Bensonhurst. Neighborhood residents met the protesters with such intense resistance that one marcher said she had “not been through an experience like this since the 60s.” A year after Hawkins’s murder, 18-year-old Joseph Fama was convicted of second degree murder and a string of lesser charges and sentenced to 32 years in prison. Five other participants were charged in connection with Hawkins's murder and received lesser sentences. On the evening of January 4, 2008, a SWAT team arrived at the Lima, Ohio, home of Tarika Wilson, 26, to arrest her boyfriend on suspicion of drug dealing. Officers kicked in the door, entered the home with guns drawn, then went upstairs and opened fire in a bedroom where Tarika Wilson and her six children were gathered. Though unarmed, Tarika Wilson was shot and killed, and the 14-month-old son she was holding was shot in the arm and shoulder. The child survived but had to have a finger amputated. Immediately following the shooting, neighbors and black residents of Lima gathered outside the home to protest the police actions. The shooting sparked controversy and further protests by Lima’s black community decrying poor race relations and police brutality. Many black residents shared their own experiences being harassed and mistreated by the police. African-Americans constituted 27 percent of Lima’s population, but the town was surrounded by farmland and a conservative political climate, and the vast majority of local police were white people from neighboring farming towns. At the time of Tarika Wilson’s death, only two of the 77 officers on the Lima police force were black. Joseph Chavalia, the officer who fired the shots killing Tarika Wilson and injuring her baby, later faced misdemeanor charges of negligent homicide and negligent assault. An all-white jury ultimately acquitted him of all charges. On January 1, 2009, Johannes Mehserle and other officers responded to calls about a fight at a Bay Area Rapid Transit (BART) station in the San Francisco bay area. The officers detained Oscar Grant, a twenty-two-year-old black man, and several other young black male passengers on the Fruitvale Station platform in Oakland, California. Hundreds of passengers in a stopped train watched the heated encounter and some recorded the events with cell phone cameras. While Mehserle and another officer held Grant face down on the ground, Mehserle stood, drew his gun, and shot Grant once in the back at close range. Grant died from his injuries later that day. Cell phone video footage was distributed to various media outlets and uploaded to YouTube, enabling millions to watch the tragic events online. Oscar Grant’s death sparked riots and civil unrest provoked by the lack of accountability for police officers who target minorities with excessive force. The jury convicted Mehserle of involuntary manslaughter, a lesser offense. On November 5, 2010, he was sentenced to two years in prison. Further riots erupted following Mehserle’s sentencing, as community members complained it was too lenient. With credit for time served, Mehserle was released in June 2011. On the rainy evening of February 26, 2012, 17-year-old Trayvon Martin, a black boy, was fatally shot in a gated residential community in Sanford, Florida, while walking home from a nearby convenience store. George Zimmerman, a local resident and neighborhood watch coordinator, saw Trayvon and decided the black youth in a hooded sweatshirt was "suspicious." Zimmerman called 911 to report Trayvon's presence while following him at a close distance and, despite the dispatcher's contrary instructions, confronted the teen and fatally shot him. The teen was carrying only iced tea and a bag of Skittles. Police questioned Zimmerman and, based on Florida's "Stand Your Ground Law," which permits the use of deadly force even in avoidable confrontations, they released him with no charges. Trayvon's unidentified body went to the morgue and his family learned his fate the next morning only after they reported him missing. Outraged by the lack of police response, Trayvon's parents worked with advocates to publicize their son's murder. The story sparked national and international outrage, symbolizing for many the continuing danger of being a young black male in America. On March 21, 2012, hundreds participated in a "Million Hoodie March" in New York City, calling for prosecutors to file criminal charges against Zimmerman. President Barack Obama called for a complete investigation and reflected, "If I had a son, he would look like Trayvon." On April 11, 2012, George Zimmerman was charged with second-degree murder. Trial is set to begin in June 2013. On November 23, 2014, Tamir Rice, a 12-year-old black boy, died the day after being shot by a white police officer. Rice was playing in a park by his Cleveland, Ohio, home when he was approached by a police car. Within seconds, Officer Timothy Loehmann shot Tamir in the stomach. The officers were responding to a 911 dispatch in which a caller had reported that someone was playing with a gun, but also explained that the person was “probably a juvenile” and the gun was “probably fake.” The gun was, in fact, a toy. Immediately after the shooting, when Tamir’s 14-year-old sister tried to rush to his side, police tackled her, placed her in handcuffs, and held her in the back of their squad car. Tamir’s mother was also prevented from going to her son, and threatened with arrest if she did not “calm down.” Neither Loehmann nor his partner, Frank Garmback, attempted to administer lifesaving procedures to Tamir as he lay bleeding on the ground. After the December autopsy was released, Cuyahoga County Medical Examiner Thomas Gilson reaffirmed his initial ruling that the shooting was a homicide. On June 11, 2015, Judge Ronald Adrine of the Cleveland Municipal Court found probable cause for prosecutors to proceed with charges of murder, involuntary manslaughter, reckless homicide, negligent homicide, and dereliction of duty against Loehmann. County Prosecutor Timothy McGinty responded to the finding by stressing that it was not binding, and that he would wait to follow a grand jury’s recommendation. On March 4, 2015, the Department of Justice released a comprehensive investigative report looking into police behaviors and practices within the Ferguson Police Department in Missouri. The report was in response to the shooting death of Michael Brown by former Ferguson police officer Darren Wilson. Brown’s death was heavily publicized in the media. The DOJ report documented rampant and pervasive racial bias within the Ferguson Police Department. The report found a patterned practice of discriminatory policing in which African Americans made up 90 percent of arrests despite only being 67 percent of the town’s population. Further, over 150 community complaints regarding excessive use of force had been filed over the course of four years for which no disciplinary action had been taken. These findings shed light on the environment in which Michael Brown was harassed and ultimately killed by Darren Wilson, just day’s after Michael’s high school graduation. Wilson was never prosecuted for the shooting. 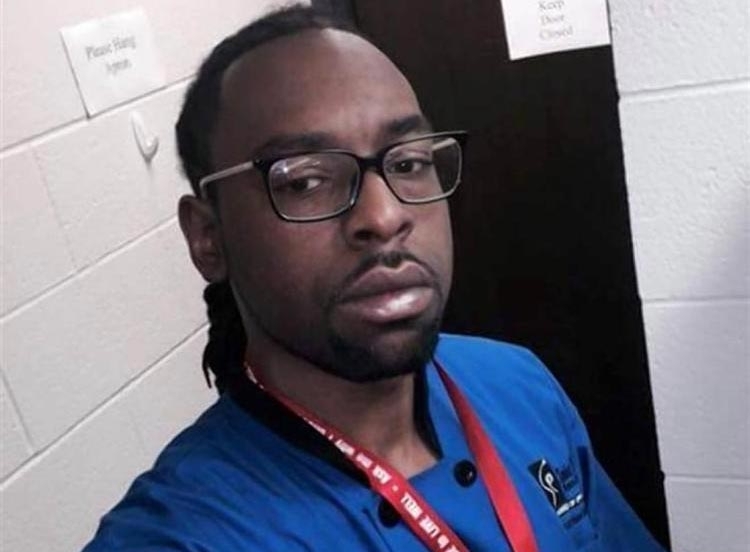 On July 6, 2016, 32-year-old Philando Castile was shot and killed by Jeronimo Yanez, a St. Anthony police officer, during a traffic stop for a broken taillight in St. Paul, Minnesota. Mr. Castile was shot multiple times from close range. His fiancee and her four-year-old daughter bore witness to his murder, and his fiancee used her cell phone to broadcast a livestream of the aftermath on social media. The tragic footage of Mr. Castile’s wounded and dying body as the officer shouts orders and the little girl tries to console her mother from the back seat sparked international outrage and protests about police brutality against black communities. At the start of the stop, Officer Yanes asked Mr. Castile if he had a weapon. Mr. Castile responded that he did have a gun, as well as a valid permit, and explained that his identification and permit were in his wallet. Mr. Castile moved to retrieve the items but Officer Yanez ordered him to keep his hands on the wheel. As Mr. Castile complied, and moved his hands back up to place them on the steering wheel, Officer Yanez fired at least four shots into Mr. Castile’s chest through the open car window, at very close range and close proximity to Mr. Castile’s fiancee and her daughter. Police who arrived at the scene following the shooting rendered no medical aid to Mr. Castile as he bled out, instead comforting the crying officer who had killed him. Mr. Castile died at the hospital twenty minutes after the shooting and Officer Yanez was placed on medical leave pending investigation. Taking place less than 24 hours after the videotaped fatal police shooting of Alton Sterling in Baton Rouge, Mr. Castile’s death led to protest marches and outrage throughout the country. Community members soon came forward to laud him as an inspirational employee at a local elementary school, and publicly mourn his death. Prior to the fatal shooting, Mr. Castile had been stopped by police for minor traffic violations at least 52 times in recent years, once approximately every four months. These stops resulted in 86 issued violations, most of which were dismissed. The extreme rate of traffic stops cost Mr. Castile over $6,500 in fees and fines. On August 17, 2016, Officer Yanez was allowed to return to duty in a desk position, though the investigation into the shooting was still ongoing. Within days, community protest led police department officials to return him to administrative leave. On September 6, 2016, local protesters gathered at St. Paul City Hall to mark the shooting’s two-month anniversary and reiterate their calls for a fair investigation and justice. On July 5, 2016, two white police officers responded to a call about an armed man with a red shirt selling CDs outside a convenience store in Baton Rouge, Louisiana. The officers tased Alton Sterling, a 37-year-old black man and proceeded to pin him to the ground. While he was pinned down, someone exclaimed, “He’s going for a gun!”, and another officer shoots Sterling multiple times in the chest and back. Officials later stated that the body cameras on both officers became dislodged during the incident. Abdullah Muflahi, the convenience store owner and eyewitness, stated in an interview that Sterling never threatened the officers or wielded the gun. Muflahi also stated that Sterling had started carrying a gun only days prior to the event, because other vendors had recently been robbed. Multiple bystanders recorded video of the shooting using their cell phone cameras. The cell phone video footage and surveillance video from the convenience store was quickly distributed to news media outlets and uploaded on social media, which allowed millions of people to watch him being murdered by the police. The video shows no movement to indicate that Sterling was reaching for his gun. Sterling’s death, and the conflict between police accounts and the video footage, sparked protests all across the country demanding an end to police brutality and the arrest of officers responsible. On July 6, 2016, the U.S. Justice Department announced that it would launch a civil rights investigation into Sterling’s death. On August 2, 2016, a federal judge in Louisiana issued a court order sealing Sterling’s autopsy report. A second court order was also issued prohibiting the release of the first court order. Between 1882 and 1968, approximately 4743 people were lynched in America, and nearly three-quarters of those lynching victims were black. Lynchings were extrajudicial and heinous killings, usually intended to warn other blacks not to transgress racialized social, political, and economic boundaries. Victims often were hanged, but sometimes were shot, stabbed, or burned alive. Their murders ranged from community spectacles at which hundreds of participants ate picnics and took body parts and photo postcards as souvenirs to low-profile concealed murders involving as few as two assailants. We continue to see the reverberations of our shared past taken out on black men, women, and children. This play is dedicated to their memory.